All you have to for now is click Search and wait for the results to come rolling in. Note. What if you don’t like that behavior? 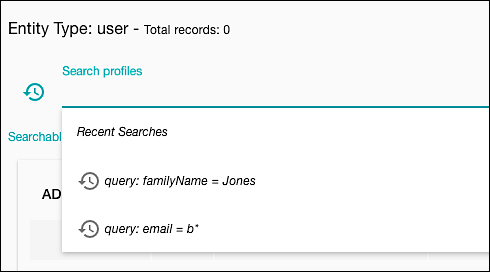 Well, you can always disable Show search history; that prevents the search history from being displayed each time you click the Search profiles field. Of course, that also prevents the search history from being displayed, period. Why? Because none of the search history entries (and none of the saved filters) have the letter combination cra anywhere in their query text (or, as we mentioned before, the filter name). 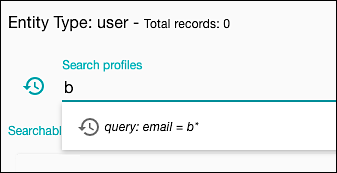 As you can see, the history is filtered to a single item: the one search query that contains the letter b. And this happens even though the b in email = b* comes near the end of the query text. 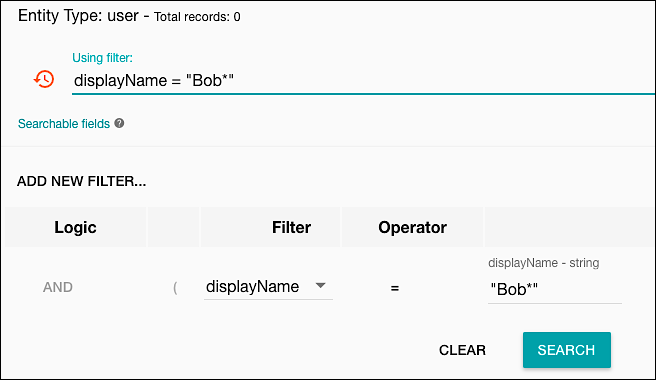 The target text does not have to come at the beginning of a query.